● 2400W Large power, energy-saving and efficient. 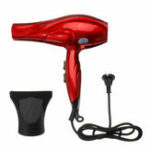 ● 2 Heat speed, 3 tempreture setting, silky hair feel more protected. ● AC Motor, strong wind, low noise and fine heat dissipation. 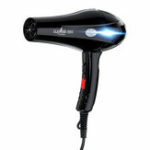 ● Detachable air inlet design, easy and convenient for regular cleaning. 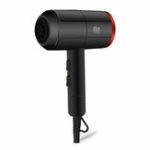 ● Big inlet,reduce cyclonic inversion, granted the sound more quiet than a regular hair dryer. 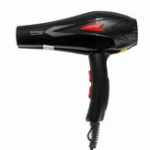 ● Combinations of strong and soft air-flows from quick-dry nozzle spreads hair evenly for uniform drying. 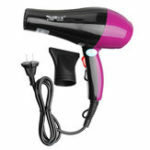 ● Great for professional hair salon, also perfect for household and travel use.